Becoming a Danish citizen takes a long time. Acquiring a permanent resident permit takes less time, but prospective citizens must have the permanent resident permit before even applying for citizenship. Various visas are available for those who wish to visit Denmark. To become a permanent resident of Denmark, you must have held a residence permit and been a legal resident of Denmark for 48 months. It doesn't matter what residence permit you have or whether you switch types during the 48 months. However, if you remarry and get a new residence permit, you must hold it for 48 months. To get a permanent residence permit, you must sign and submit a declaration of integration and active citizenship in Danish society. You must also pass a Danish language exam. Those who have committed a crime against Danish law or who have outstanding public debts so not qualify for permanent residence permits. Applicants must have been employed full-time for at least the last 30 months before submitting their application. Internships are not accepted as employment. Applicants must also have participated in an organization such as a school board, housing association board, or parent-teacher association for at least 12 months. Though a college education is not required, it does help your chances of getting a permit. To becoming a Danish citizen, or national, you must sign a declaration swearing your allegiance to Denmark society and law. All of your previous criminal activity must be reported, even traffic tickets. Denmark does not allow dual citizenship, so you must denounce your nationality. You must have already lived in Denmark for at least nine continuous years. You are ineligible if you've been imprisoned for 18 months or more. You may not have received any money from any social welfare programs in the 12 months prior to applying for citizenship. You also must pass a Danish language exam and an exam testing your knowledge of Danish history and culture. People looking to acquire a visa must have a valid passport, necessary funds to pay for their trip, and have a travel insurance policy. You can get a cultural, business or tourist visa. Jen MacElhoe began her writing career in 2005. She has been published in "A Long Story Short." She holds a Bachelor of Arts in English from the University of Central Florida, where she is now pursuing a Master of Fine Arts in creative writing. MacElhoe, Jen. "Denmark's Immigration Requirements." 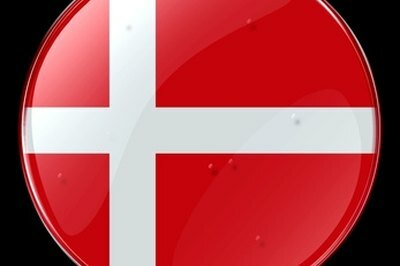 , https://legalbeagle.com/6688266-denmarks-immigration-requirements.html. Accessed 20 April 2019.